Loop Tackle Design are designers and manufacturers of high quality fly fishing tackle and the inventors of the large arbor fly reel. 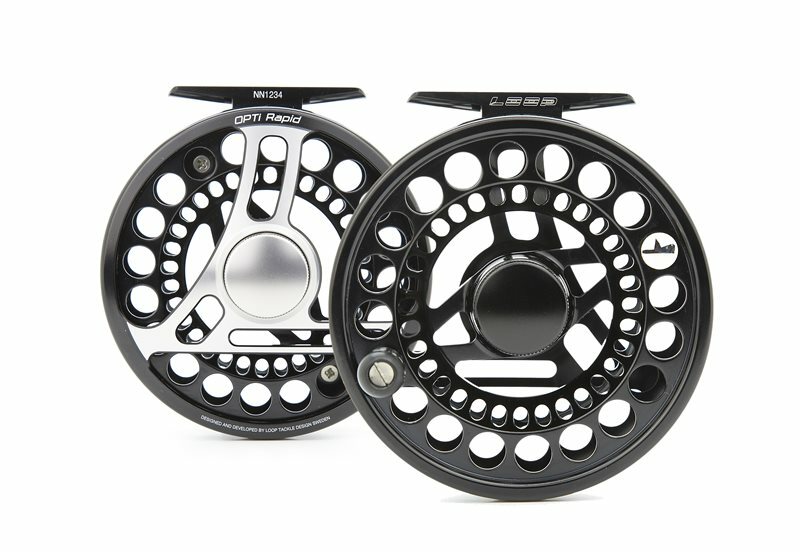 The Opti fly reel range is available in a variety of diameter sizes and designed for optimized performance for a extensive range of species and fly fishing applications. Each model features a large arbor spool incorporating a unique V-shape designed for faster, more efficient line retrieval and less line memory. The backbone of the Opti range is the highly effective and immensely strong Power Matrix drag system. This braking system is both totally waterproof and saltwater resistant using the highest standard of componentry including marine grade seals and specialized carbon braking discs. With complete adjustment of tension control, these reels are designed to benefit from the smoothest rotational start-up available in any modern fly fishing reel. Outgoing click (not available on Creek and Dry Fly).